Remi Hair by JBS Hair. - Close Out! Highest possible grade human hair with exceptional craftsmanship. 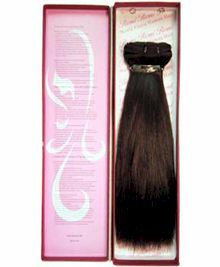 Guaranteed 100% Remi (uni-directional; cuticles are aligned same way) human hair. Significantly last longer without shedding. Texture : Soft Yaky (Perm). Sleek healthy hair. Net Weight : 1/4 pound. Weft : Double drawn, Reinforced individual wrapping to prevent shedding. "THANK YOU WE HAVE RECEIVE THE REMI HAIR. WE ARE HAPPY WITH IT. THANKS AGAIN. THIS IS WHAT WE CALL BUSINESS."